A modern website consists of an HTML5 responsive design. Meaning, a single site that can automatically adapt to the device screen size (phone, tablet, or workstation) of the site visitor is a responsive site. HTML5 provides advantages in search engine optimization (SEO) and in a richer user experience. We work very hard to understand your business so your target customer feels they came to the right place to meet their needs. Correct site messaging provides them the visual and textual reinforcement to confirm you understand what they are looking for and your company has the capabilities and qualifications to meet them. We take that understanding of your business and use it to build Search Engine Optimization (SEO) into your website’s design. We also provide advice on how to drive traffic to your site. Our goal is to achieve organic search results based on your site content, site design, and the external sites that reference back to your site. Our goal is to help grow your business. We strive to inform and engage your site visitor to take actions that lead to more business for your company. We design in “call-to-actions” designed to provoke site visitors to an action that engages them so you can capture more leads. We set up the analytics for the site so you get the feedback and information you need for marketing campaigns and how to optimize your site for even better results. 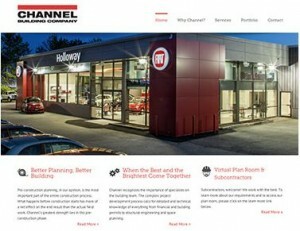 Channel is a long term client of Ardent Media Design. Channel Building wanted a mobile responsive website with a content management system (CMS) so they could easily make updates to their site. Their new site is based on a customized WordPress theme and it is fully mobile responsive. Their project portfolio is extensive. Ardent customized the portfolio gallery view, the individual project pages, and did all the photo cropping and editing for the portfolio images. We do more than website design. We can automate your business processes and leverage the accessibility of the web to improve internal systems or enable your organization to be more responsive to your clients. We have experience in document sharing, reporting and logging service requests, tracking your equipment or assets, enabling reseller forecasting, reseller portals, and much more. 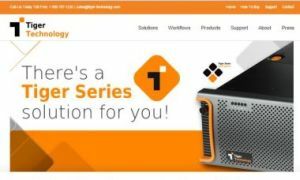 Tiger Technology is a software developer of high performance storage area networking (SAN) management tools. Tiger needed an easy to use content management system (CMS) that could be updated by marketing personnel with Search Engine Optimization. The site is based on a customized WordPress design that is mobile responsive. Newsletter sign up forms integrated with the MailChimp email marketing system. Press releases and news items easily published via the WordPress blog publishing and customized blog posts. A new website is just the beginning. We help you easily and effectively communicate with your client base and get the word out to attract new ones. We help you leverage news services, social sites, and more. 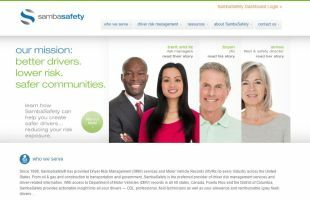 Samba provides Driver Risk Management services and Motor Vehicle Records to every industry across the United States. Samba wanted a clean design, simple to navigate for site visitors, and based on a content management system that was easy to update. Ardent provided a customized WordPress based website design. The Samba site features a custom jQuery based accordion slider on the home page to target different classes of users and well organized service pages with convenient sidebar navigation to help site visitors easily find other areas of related information. Newsletter sign up forms integrated with the Salesforce.com customer relationship management system.